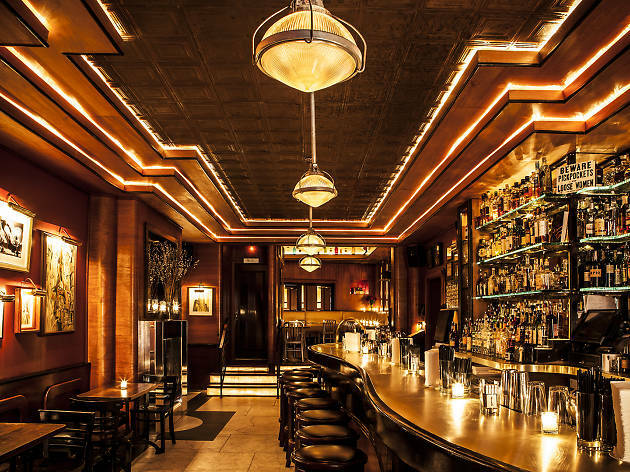 New Yorkers are a tough breed, but when the winter chill really sets in, you’re bound to see bargoers flocking to nearby cocktail bars in town. 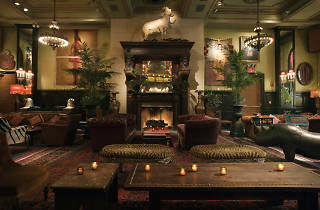 Amidst frosty winds and wet snowfall, even the most hardened urbanite will appreciate rustic warmth of a roaring fire. 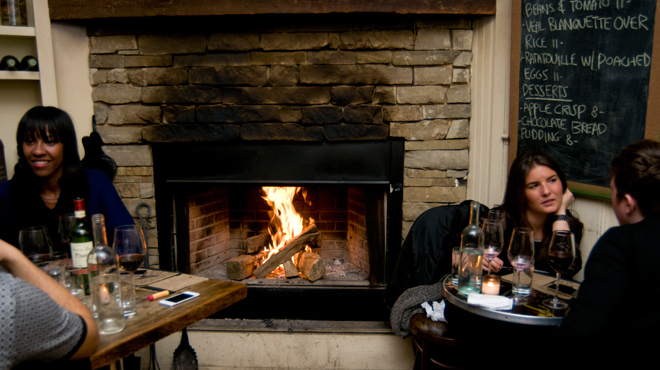 From romantic bars to hoppy beer bars, these are the best bars with fireplaces NYC has to offer. Trust us, they're lit. On weekends when escaping the city isn’t a viable option, head to this cabinlike space for a rustic retreat. 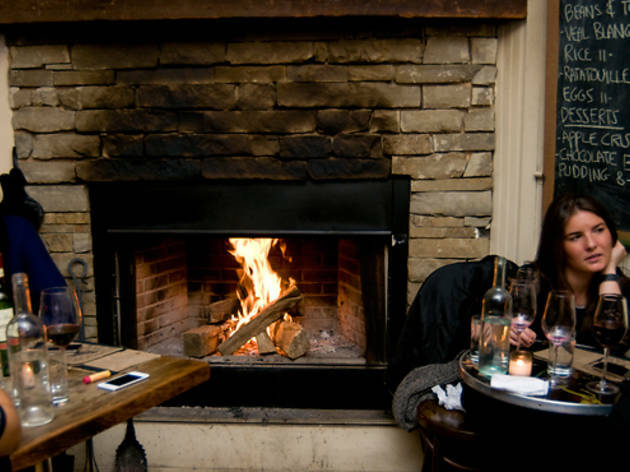 Your objective: Snag a seat around the wood-burning brick hearth. 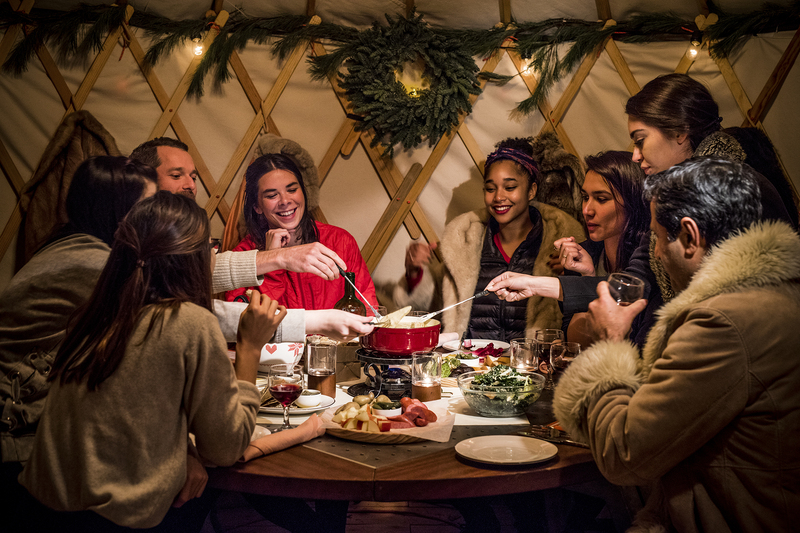 Though the wine list offers a wide variety of options, sip the mulled vino to eradicate any chill left in your bones. 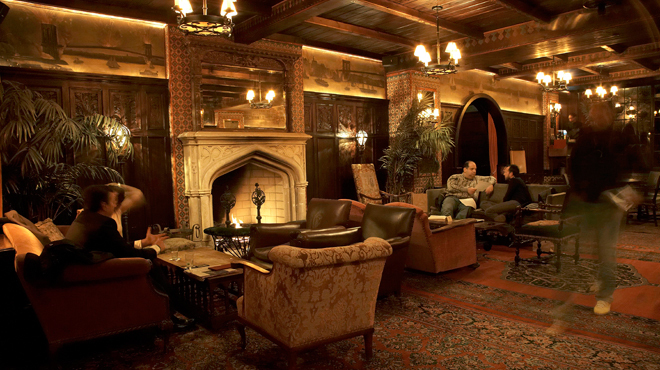 You’ll have to battle the hotel’s out-of-town guests to score a seat in the Art Deco–inspired environs, but it’s well worth it if you can secure one of the overstuffed couches or chairs by the gas furnace. 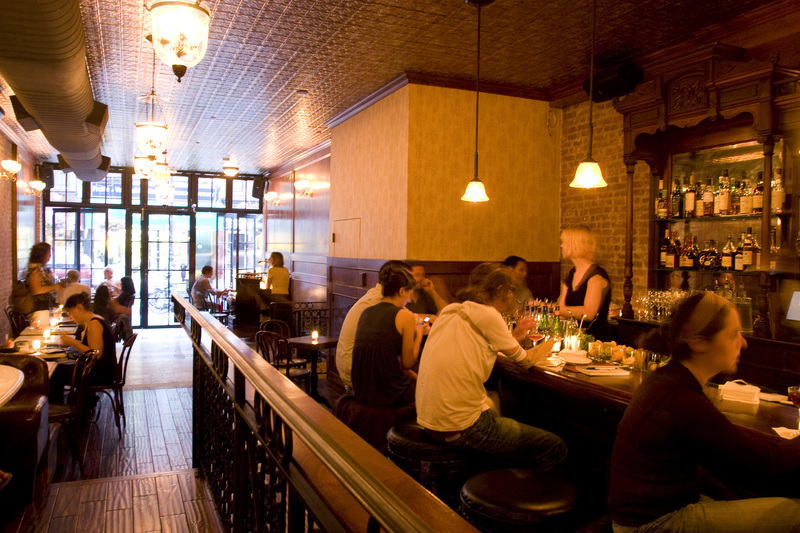 Arrive early, pretend like you own the place and enjoy a stiff Negroni or Old Fashioned. 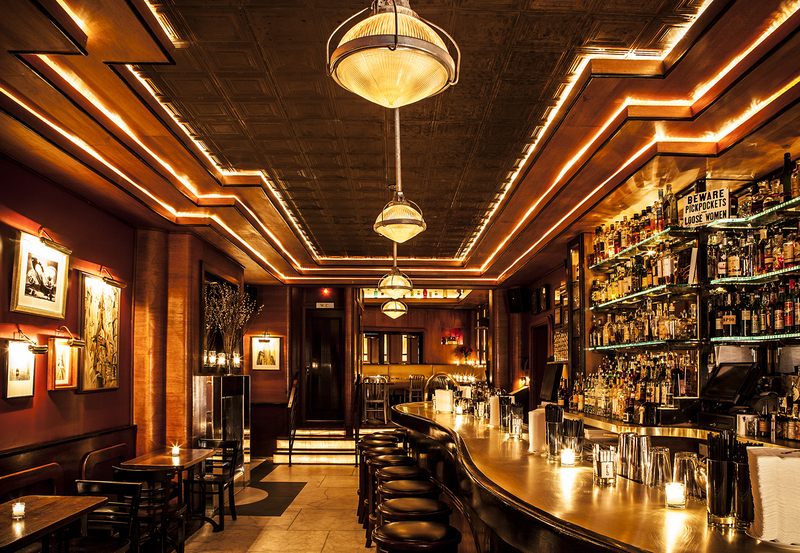 A fortune teller greets patrons at this comfortably-worn reproduction of a prohibition speakeasy. There’s a rousing scene in front, a mix of diehard regulars and industry types who jockey for the attentions of the chef-coat–clad barkeeps. 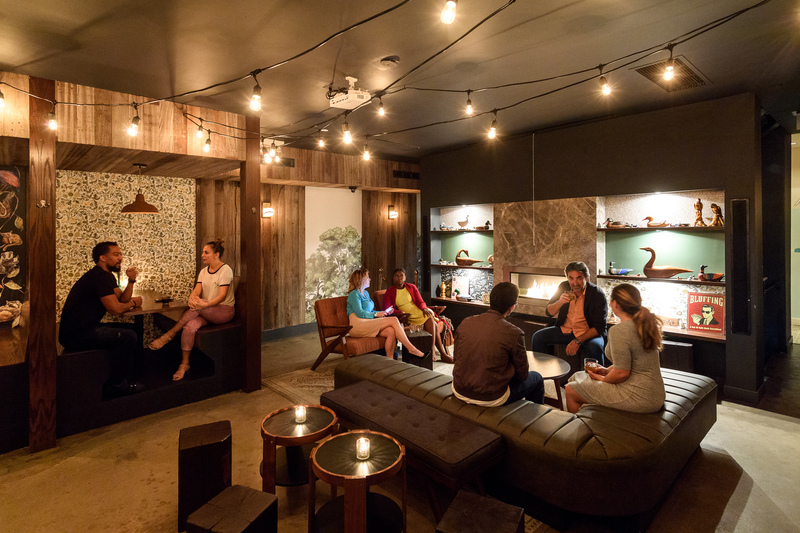 Of all of the city’s craft cocktail joints Employees Only is among the most populist, with enough nerd-baiting tipples on the menu to please aficionados without alienating everyone else. 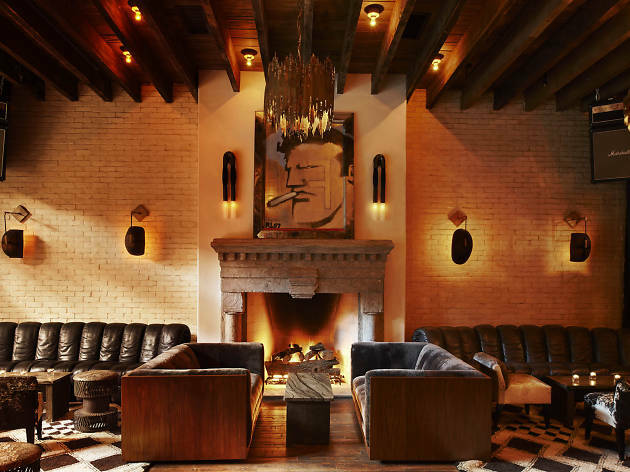 The downtown-grunge–meets–your-rich-aunt’s-house vibe at this Lower East Side den practically invites you to sink into the trendy velvet couches beside a stone-facade fireplace. Cuddle up by the hearth with one of Dirty French’s belly-warming concoctions, like the slow-burning but smooth Muddy Water (Irish whiskey, cumin-spiced rye, cinnamon, chocolate mole bitters) or the sweeter, more festive Chai Matsuda, which blends chai-spiced bourbon, espresso and cardamom. 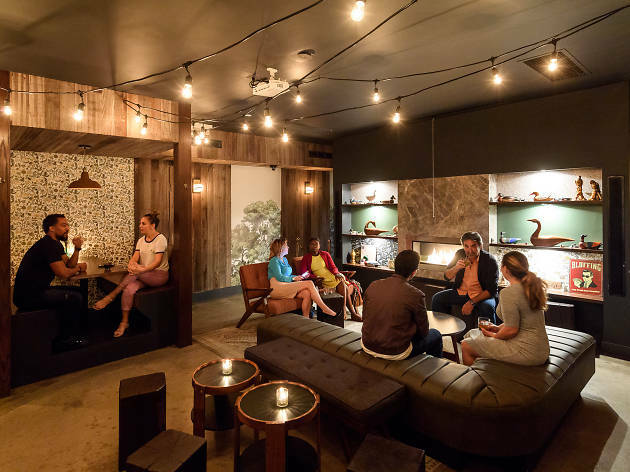 The Lately is decidedly different from the nose-in-the-air 1Oak– and Tao-type clubs that pepper the neighboring blocks: The door policy is open, and the bartenders are quick to strike up conversations with lone imbibers or offer free shots to those who live in the area. 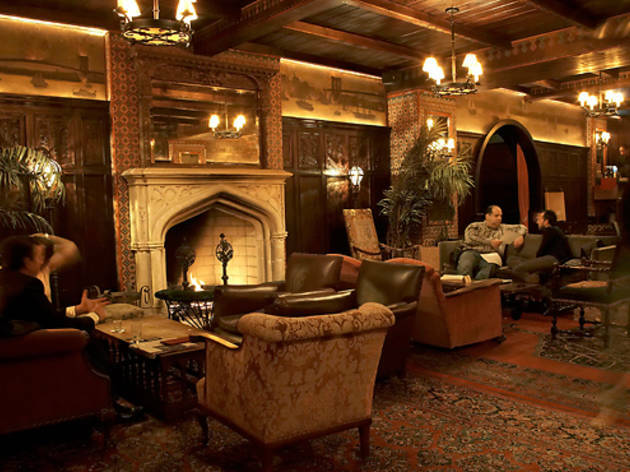 And the rustic, wood-paneled barroom is warm as well, decked out in upscale cabin decor with a working fireplace, duck statuettes and forest-green walls. 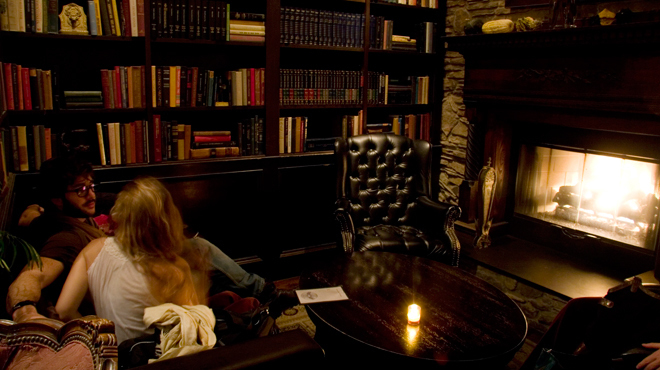 This cavernous, bi-level venue may not fit the textbook definition of intimate, but the flickering stone fireplace is damn cozy. 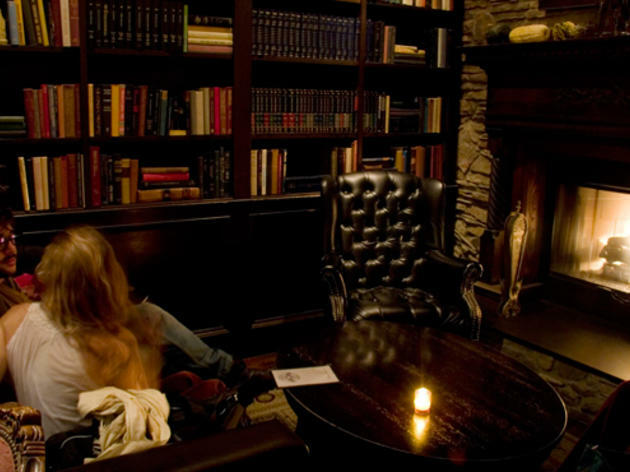 Commandeer the plush couch or one of the chairs near the hearth and settle in for the night with a hot Irish Nut with Bailey’s and amaretto coffee. 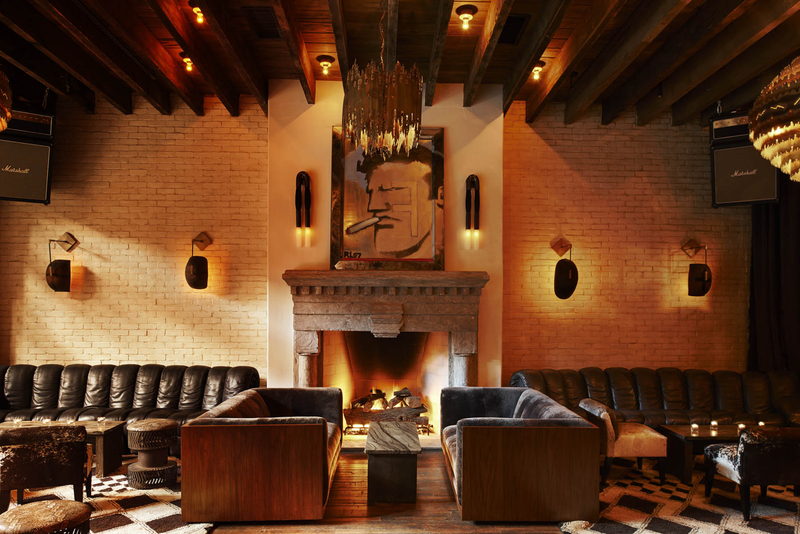 This lounge from Sean MacPherson and Eric Goode is home to the most raging midweek party in lower Manhattan. 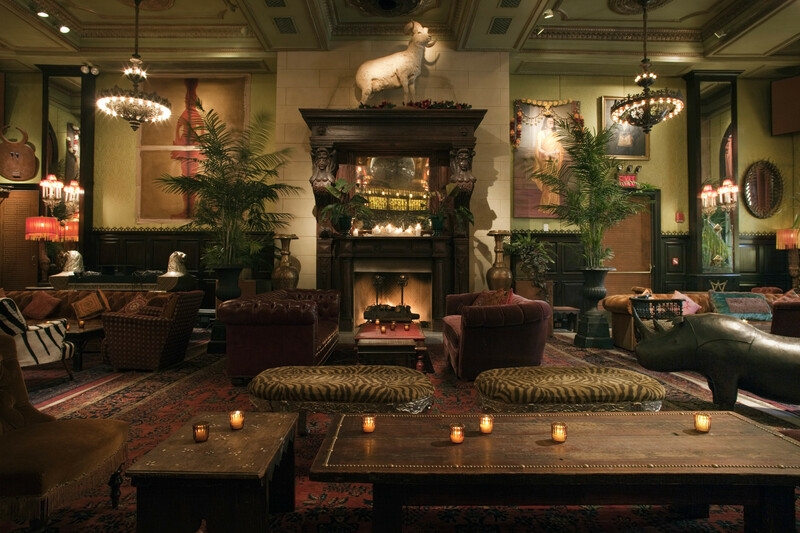 The Ballroom is nearly as stunning as the crowd it attracts, with an offbeat tableau of stuffed beasts and mismatched couches. 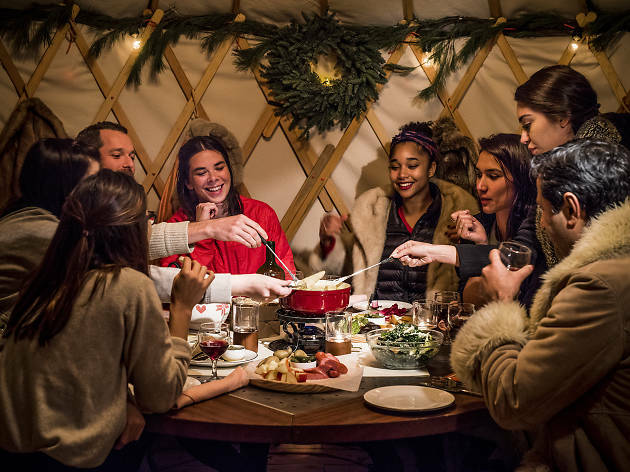 Though you can easily stake out a seat early on, the real festivities don’t usually get going until after midnight, when the dancing—fueled by cocktails—starts migrating onto tables and chairs. Our only complaint about the Jane? How long the line is. 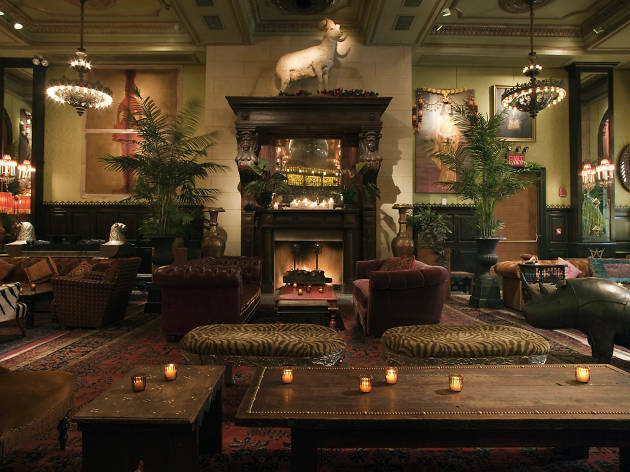 Upstairs from the subterranean restaurant from clothing empire Ralph Lauren, find a long mahogany-toned barroom emblazoned with jockey portraits and 19th-century riding trophies, offering gratis bowls of fried olives to offset the $21 you’ll inevitably pony up for an old-fashioned. 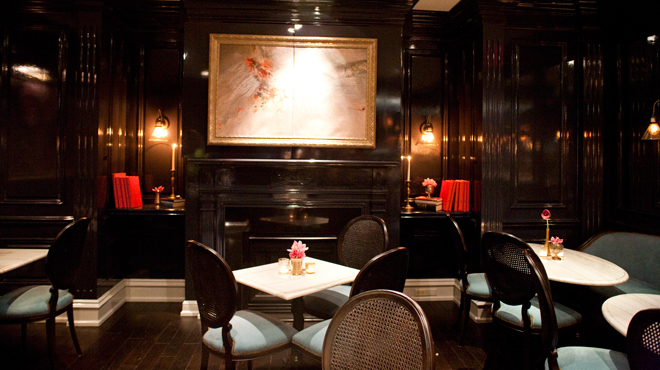 The fireplace in the very back is the cherry on top of the handsome, boys club space. 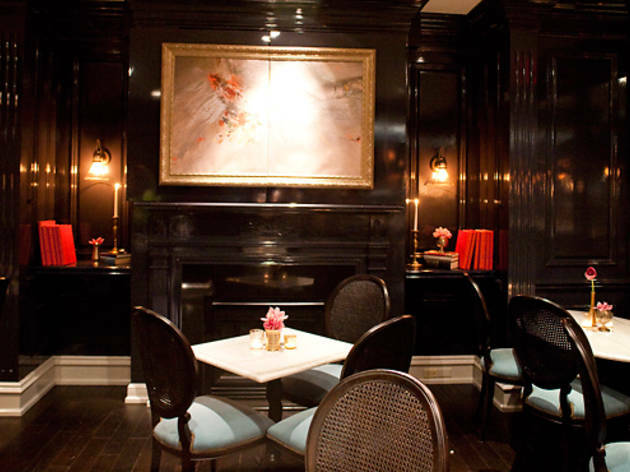 Ease into a seat near the gas-powered, black-laquered hearth and scan the list of tipples, like the frothy New York Harvest (bourbon, applejack, lemon, egg white, red wine). 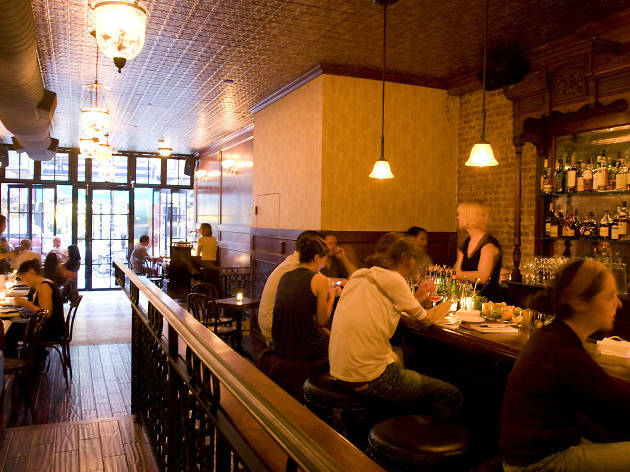 The bar often has limited hours and can get crowded; be sure to call ahead and make a reservation so you’re not left out in the tourist-ridden streets of Midtown. 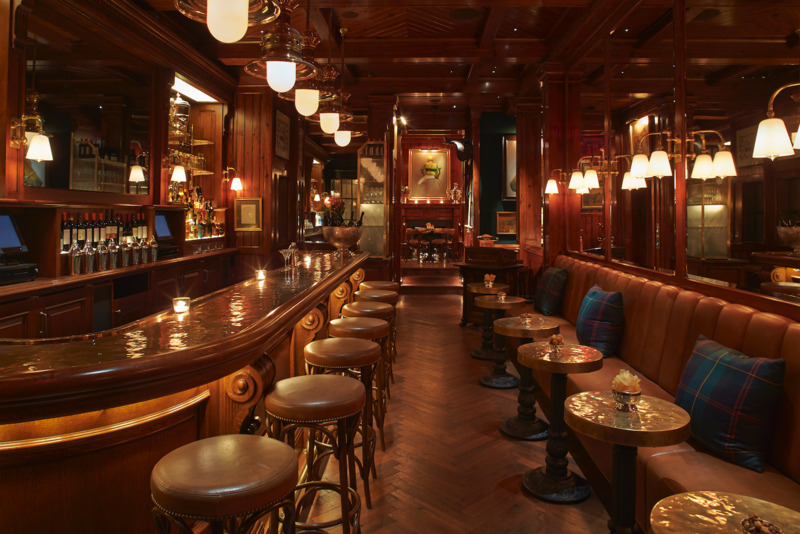 This standard-bearing cocktail parlor from mixology matriarch Julie Reiner (Lani Kai) expresses its Victorian bent in intricate tile work, curved leather booths, marble tables, vintage sofas and a functioning fireplace. 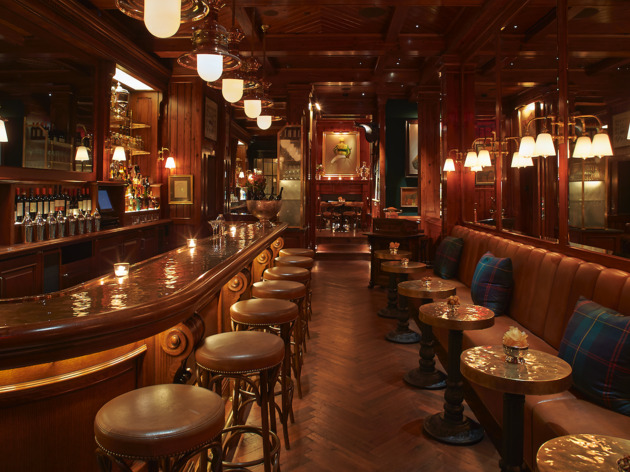 The centerpiece is the 19th-century mahogany bar, where vest-clad barkeeps stir and shake throwback potions, handily defined in the novel-like menu. Choose among regal crystal bowls of punch or finely wrought drinks, both classic and new. Looking for more cozy places?